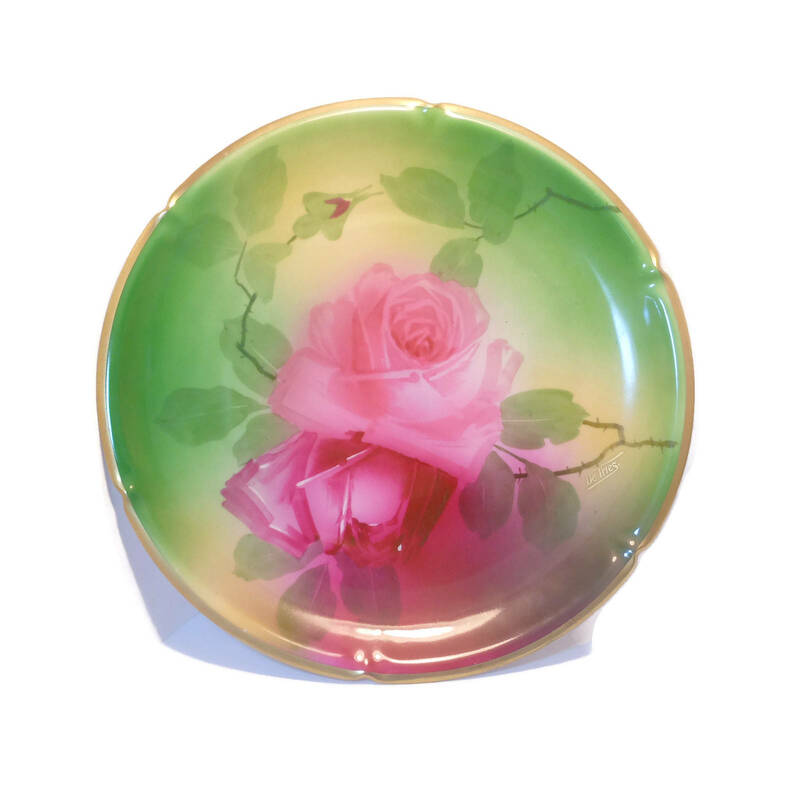 Hand painted, trimmed in gold and signed by DeVries. 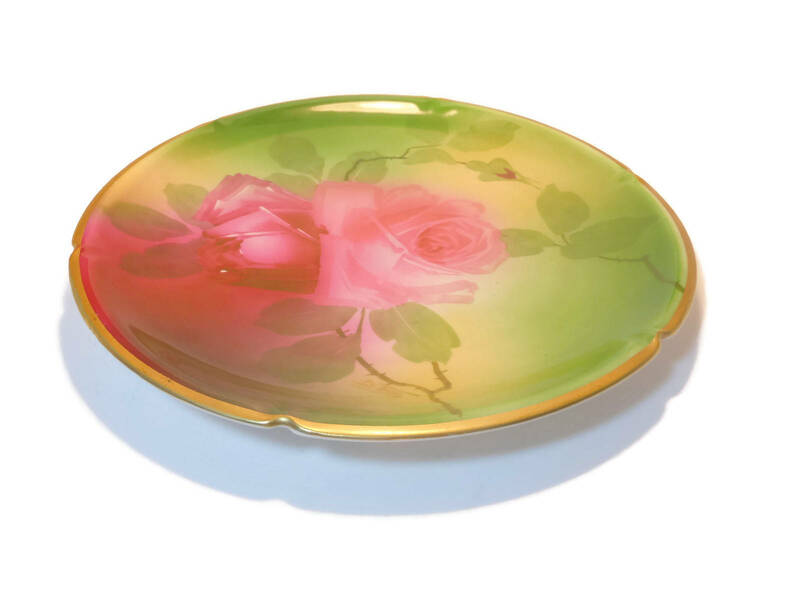 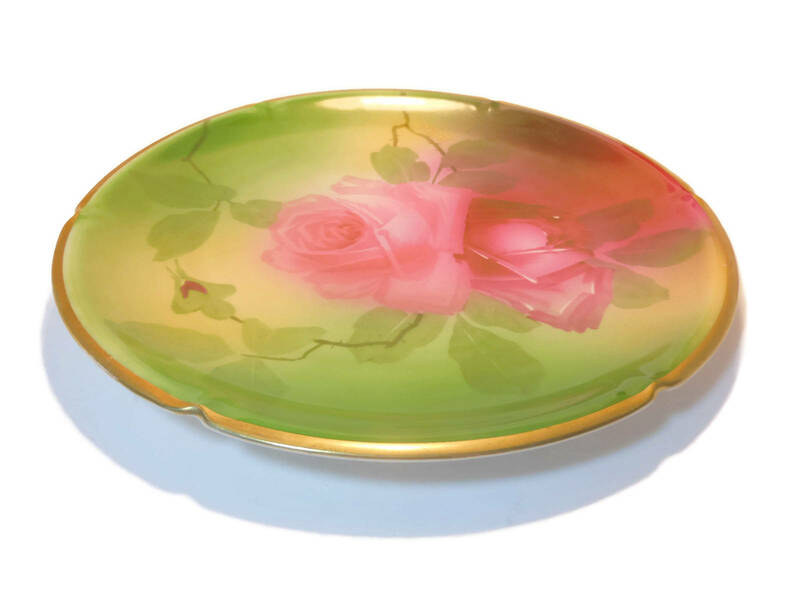 A lovely collector's piece for the wall or on a plate stand! 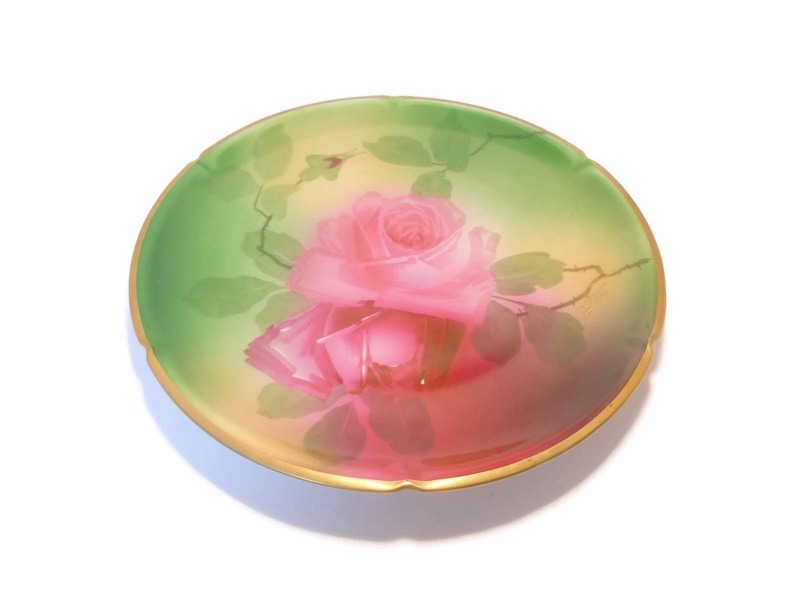 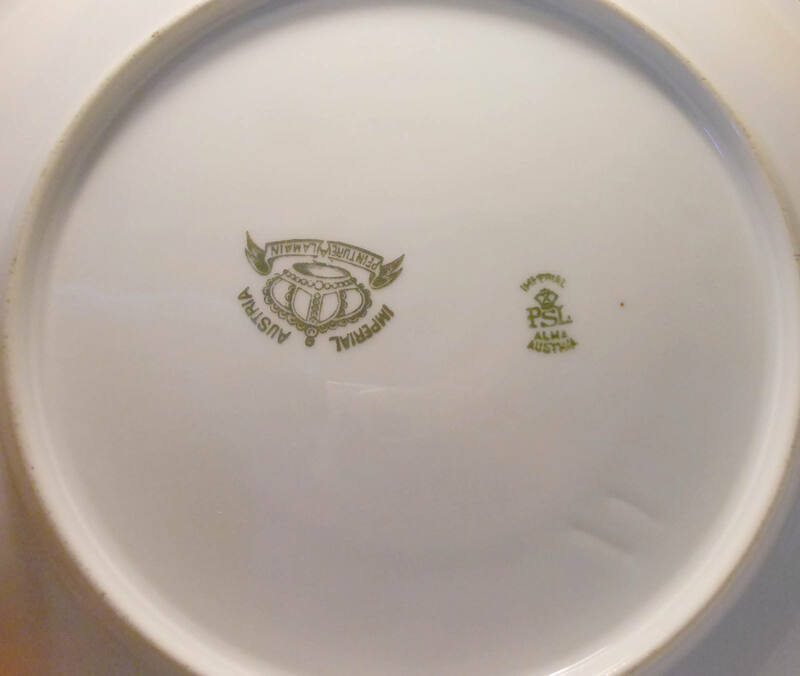 The plate measures 9 1/2" (24.3 cm) in diameter and, other than a small chip on the rose that I never even noticed until photographing, is in very good vintage condition.